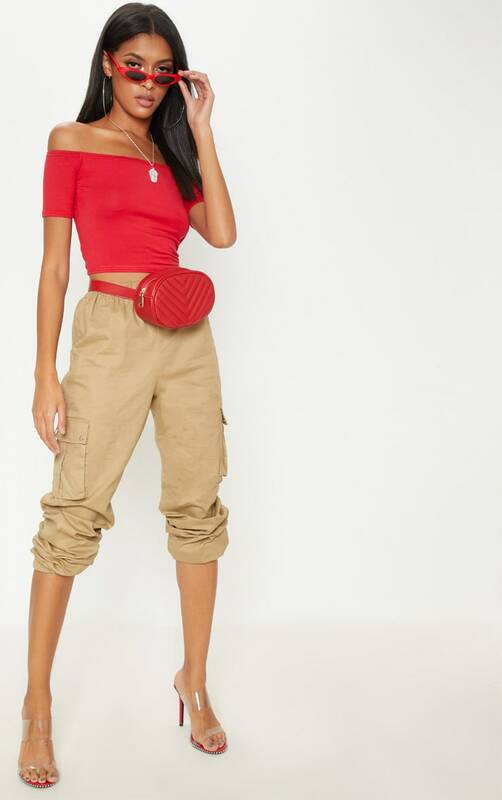 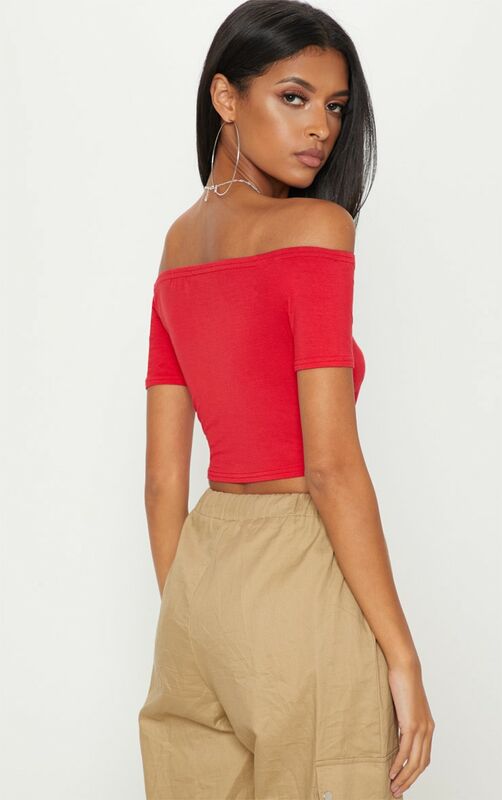 Add a pop of red to your look with this basic crop top. 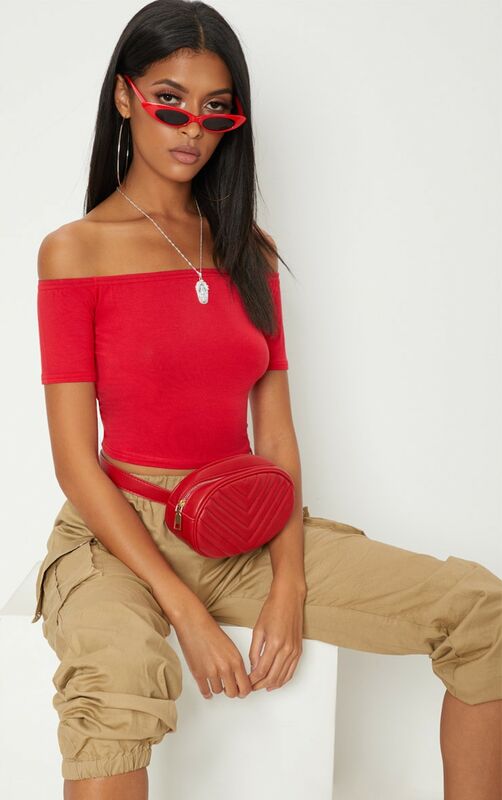 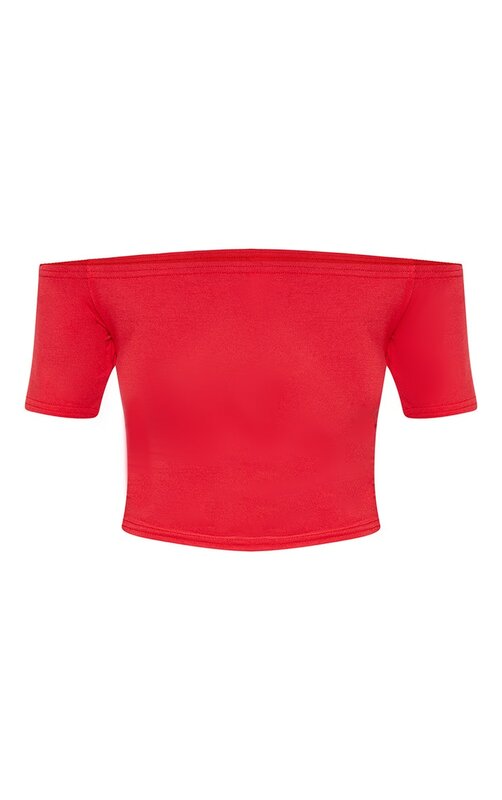 Featuring a super soft red jersey fabric, this crop top is great for adding block colour to any look. 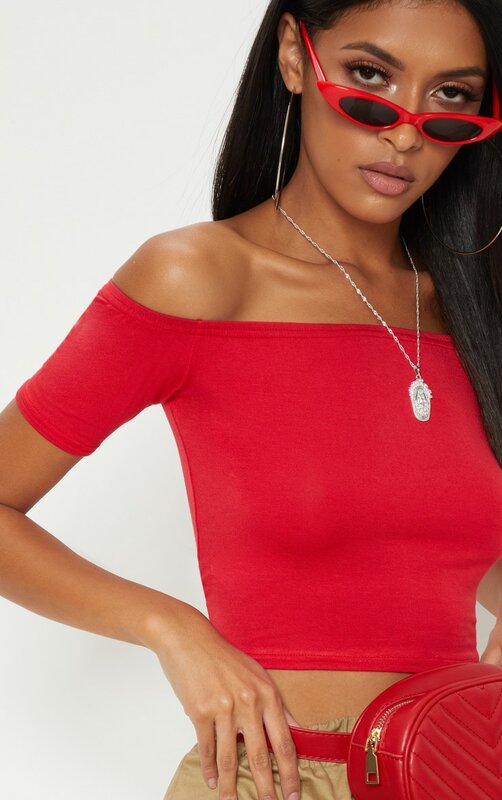 A bardot style neckline always adds something fire to an outfit and this jersey crop will go with any of your favourite off-duty bottoms.